On the 27th November, two Turkish F-16 fighter jets shadowed two Russian Su-24 air-support bombers in Northern Syria, or in Southeast Turkey. 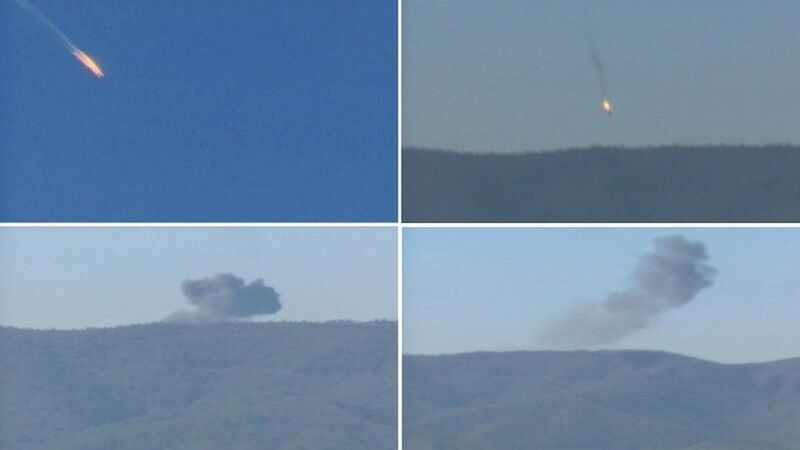 The bottom line is that the F-16's fired a missile and shot down one of the Su-24's. It was a serious military and diplomatic incident, one more factor further poisoning and complicating the damned Syrian battle space. Two weeks before the fatal air encounter, a large group of foreign (non-Syrian) powers had come to an agreement on a political roadmap out of the Syrian War. These included Russia, the United States, Saudi Arabia, Iran, Turkey, the United Kingdom, France, Jordan, Qatar, China and a number of others. The roadmap calls for the commencement of formal multilateral intra-Syrian negotiations to start no later than the 1st January 2016, indicates 14th May as the time limit to implement a cease-fire, which will be followed by the drafting of a new constitution. Finally, it sets the 14th May 2017 as the date for new elections under a new constitutional framework. This should formally end the hostilities and the transition period, during which, Al-Assad would remain as President of Syria. This incident jeopardises what was already a precarious agreement without the participation of the Syrian actors. It reinforces the mistrust and antagonism between the major foreign stakeholders in the Syrian war. After this event, the chances of fulfilling the roadmap commitments diminish substantially. The Su-24’s flight paths according to Russian (red line) and Turkish (blue lines) authorities. Believing the Russian version - the Su-24 was shot down over Syrian airspace which it had never left, or the Turkish version - the Russian aircraft was over Turkish airspace and was shot down after repeated warnings, is a matter of faith or preference. * How can one issue 10 warnings over a 5-minute period if the infraction lasted no more than 17 seconds? * Who, bar an imminent and very serious threat, which was not the case, shoots down an aircraft over a 17 seconds violation? 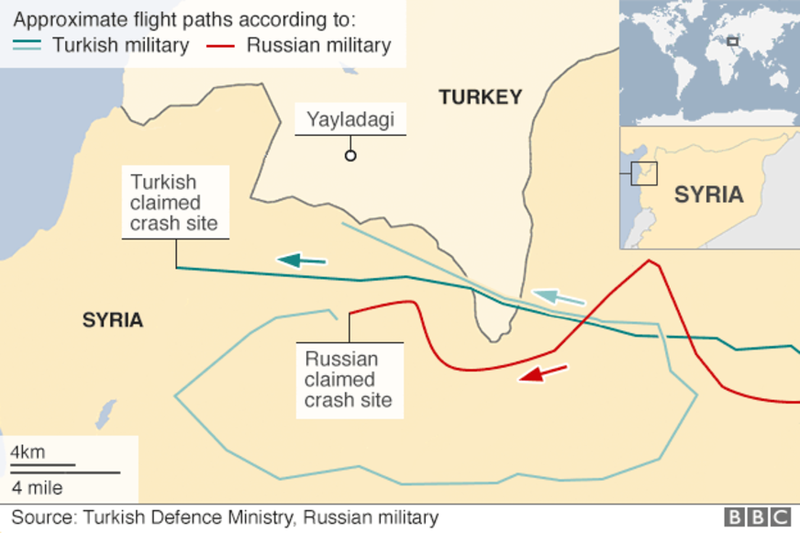 It was the Turkish version that made me believe the Russians: it was a deliberate, planned and provocative attack under no real and convincing justification. Of course there can be several motives for the attack, but countering a major and immediate security threat or mere happenstance are not among them. A 17-second flaw is a bureaucratic issue, not a casus belli. The near future will tell us the value and the cost of those 17 seconds.